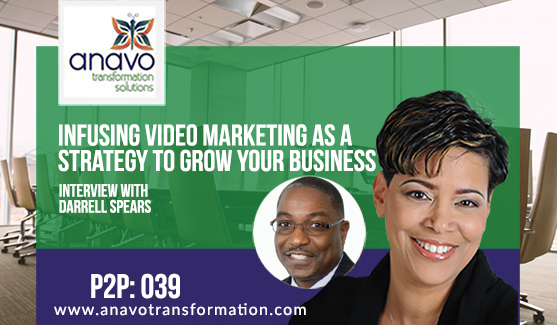 Today we’re talking about the power of video marketing. My guest, Darrell Spears, is the Founder and CEO of EliteConversations.com He is a polished leader, business coach, and public speaker, with over 25 years of business management, development and leadership experience in both Corporate America and Ministry. His well-rounded business background includes stints with several fortune 500 companies, including Sprint, GE, British Telecom and Ernst & Young. Mr. Spears key attributes include his expertise in business development and his ability to provide guidance and coaching to business owners and entrepreneurs at all levels. He is well known in the business and ministry community for having great character and a desire to see others successful. As a business success strategist, Darrell provides business development and execution strategies to his clients. His company EliteConversations.com has a mission to help business owners and entrepreneurs to create systems, develop infrastructures and get the exposure that is needed to deliver their message to the market for maximum profit potential. What is Elite Conversations and how did it get started? Why is video so important to one’s brand? Is your workshop open to anyone? What advice do you have for the audience? The 3 step process Darrell uses in working with small businesses to create a marketing plan. The importance of having a uniform marketing strategy across all platforms. The importance of doing video marketing correctly. The key points a business owner should structure their video around.